For information on specific subject areas, visit our PreK - 12 Links. 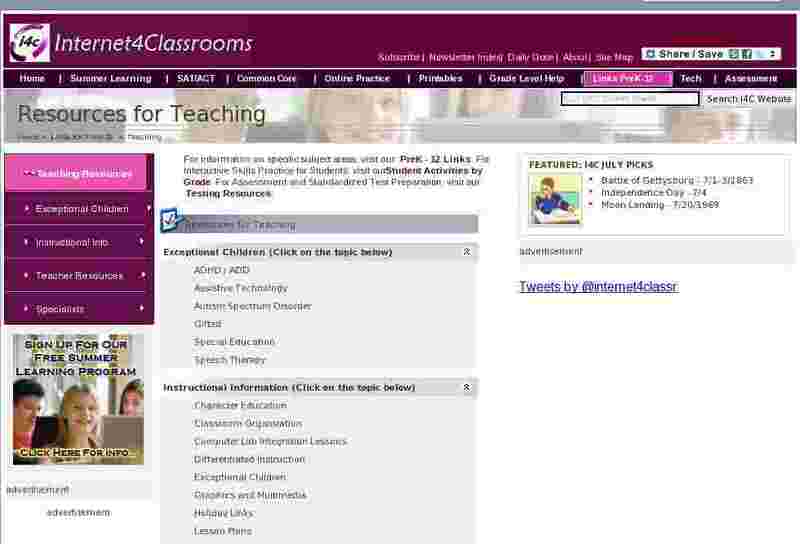 For Interactive Skills Practice for Students, visit our Student Activities by Grade. For Assessment and Standardized Test Preparation, visit our Testing Resources.